Yes, my daughter and I loved this! Completely different than many books because it is told from Ivan's (the gorilla) point of view. There are SAD parts in the book... So prepare your kids if they are sensitive. But in the end all is happy:) If you have ever wondered what it is like for a gorilla, abused elephants, and a stray dog to live together in a small domain at the mall and see what they really think of it, you need to read this. As a parent I believe there are many underlying themes about animal cruelty. It does not speak negatively about zoos because those are the ones who come and help. 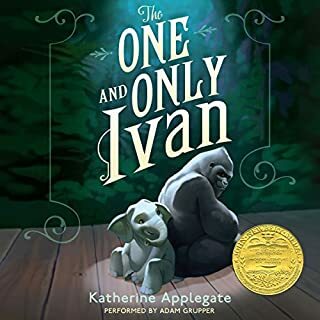 We did listen and follow along with the paper book/kindle because there are great pictures and Katherine Applegate does some cool effects for the pages (like when Ivan is talking). Also pay attention at the end because it explains how this is based on a true story. What was one of the most memorable moments of Wonder? There are too many, you are drawn into the character August "Auggie" and his life. I really don't want to give too much away, but he has physical disabilities that make him look incredibly scary to many. 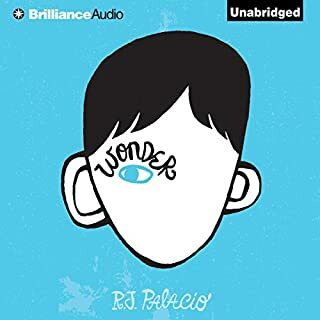 This is more than a book about not being a bully... But a book about kindness and friendship. I would give this book a standing ovation! I hope this moves to the top picks for kids! My daughter and I loved it! So fun to listen and follow along with Audible... Truly feel like you are there with Auggie, Via, and so on.